Bear Archery makes some of the best hunting recurve bows on the market. When Fred Bear established his company in 1933, he and a few other skilled woodworkers made bows one at a time. The craftsmanship was amazing, and the company took off. Even when times were tough, Fred Bear continued to create the best recurve bows for hunters. In 1947 he opened a plant in Detroit and began making his bows en masse. He stayed active in the Bear Archery company until his death in 1988. What are You Using Your Bow For? What is the Length of Your Bow? What is Your Draw Weight? How Heavy is the Bow? Want to Learn More About the Best Recurve Bows? Today Bear Archery bows are among the best hunting recurve bows on the market. They've had years to develop a fine line of products for hunting and target practice. So if you're looking for a hunting bow that will last, check out our list of the best Bear Archery recurve bows. 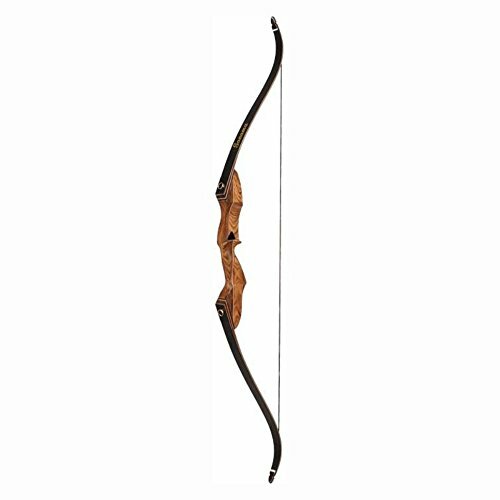 Bear Archery has a wide range of recurve, compound, and youth bows for all archers. Check out our top ten recommendations for the best Bear Archery recurve bows. The Super Kodiak was one of Fred Bear's last designs before he died. He took it with him on game hunts around the world, and it's been a favorite design ever since. 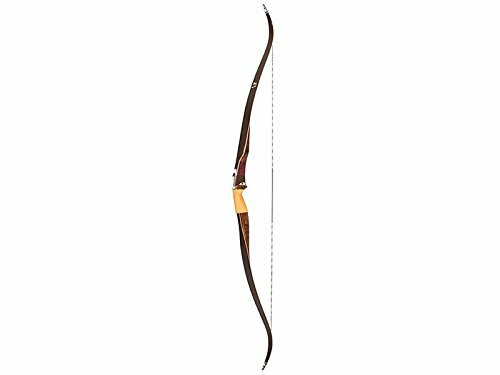 This simple but powerful bow is fiberglass and accented with Rosewood or Maple. The grip has fiberglass accents for comfort. 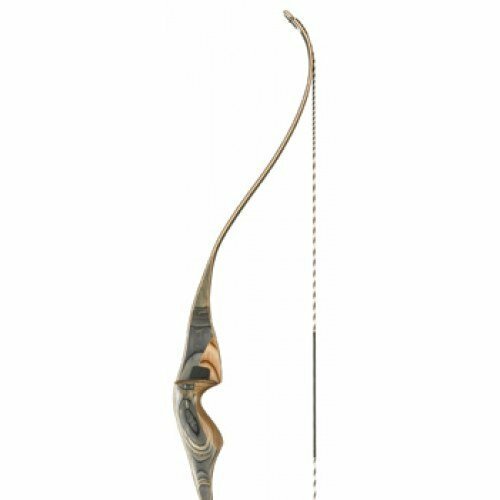 The Super Kodiak is on several Best Recurve Bow lists, so it's safe to say this is a popular model. While the Kodiak was the magnum opus of Fred Bear's career, the Grizzly was his classic hit. This bow was one of his favorites, and he spent a lot of time making sure it was right. It has one of the best performances for recurve bows. The riser is solid maple wood, with maple limbs backed with black fiberglass. It has a draw weight of up to 60 pounds for the right-handed model. The left-handed model goes up to 55 pounds. It's a hunting recurve bow classic, and that's why it's one of the best Bear Archery recurve bows. This bow was years ahead of its time. It was first designed in 1969 and remains a staple in the hunting bow market. It's easy to pack away and performs well in the field. One of the reasons for its popularity is all its customizable options. The two risers, made of Black Maple, African Bubinga, or Black Phenolic, come in A or B sizes. They also have bear hair rests and leather strike plates, which will last through many hunts. Pair these risers with Bear Archery limbs. They're backed and faced with high strength black fiberglass. These limbs also come in two sizes, one making a bow up to 60" and another a bow up to 64" inches. This means you can have a draw weight up to 70 pounds for the most power. Fred Bear developed the Bear Super Magnum 48 in 1966. It's a short bow that's great for hunting out of tree stands or ground blinds. The African Bubinga hardwood body has black fiberglass for extra support. It has a slim grip, and a 48" AMO length. It has a DynaFlight 97 Flemish twist bow string that will last through any hunting trip, rain or shine. The Kodiak doesn't pack as much of a punch as the Super Kodiak, but it makes up for it in a classic performance. In fact, Bear Archery brought back this bow because of the popular demand. Originally they weren't going to reproduce it, out of respect for Bear's great design. But when customers kept asking, they realized it was time for a re-introduction. This bow comes in either a white maple I-Beam or a purple heart I-Beam. The riser itself is Bolivian rosewood. The combined woods make this an elegant and effective bow. As always they reinforced the bow with black fiberglass. You can order it with a gloss or satin finish on the wood. Both the left and right-hand models have a draw weight of up to 60 pounds. The Patriot was born of a collaboration between Fred Bear and Bryon Ferguson. Ferguson was a trick shot specialist as well as a renowned hunter. With that kind of resume, it's natural that he would work with Fred Bear. Together they created a high-performance longbow. The 3-pieced riser is black and brown hard-rock maple with a brown accent stripe. It's reinforced with black and white fiberglass accents and has a supple leather grip. Unfortunately, it only has right-handed models, but that has a draw weight of 55 pounds. It's a perfect longbow for trick shots and hunting, making it versatile for any archer. This is one of the lighter models that work well for beginners and kids. It's 40-45 pound draw weight is great for target practice. It's inexpensive, but the construction is solid and reliable. The riser and limbs are maple wood and black fiberglass. It's good for new archers with a 22" draw length. The thickness of the grip works for people who are still working on their form. If you or your older child is trying to get into archery, this is a great starter bow for them to learn on. Grant Neil Byce II was Fred Bear's master bowyer. He worked on many of the bows at Bear Archery but later retired. The Cheyenne is the collaboration between himself and his son Byce III. Its limbs have the same swept-back style of the Take-Down. The grip incorporates the half-moon style of Fred's favorite bows in the 60s. The riser is a 2-piece maple with fiberglass reinforcement. It's also only available for right-handed users and has the draw weight is 55 pounds. If you're looking for the best hunting recurve bow that employs old-school design, this bow is for you. This bow is a throwback to a 1964 static tip bow model. It's made with Bolivian rosewood on the grip. The riser is African Bubinga and a black and white fiberglass reinforcement. This recurve bow is 64-inches long. The static tip keeps its shape during the draw cycle, which gives it an extra punch in power. Not only is it a powerful hunting bow, it's got a vintage look. The Static K-4 comes in both right and left-handed models. The right-handed model packs a 55-pound draw weight. The left-handed model goes up to 50 pounds. If you've got a young one who's starting out in archery, do them a favor. Get the Kodiak Cub. The Cub came out as the Little Bear in 1965. It has the same designs as the adult Kodiak model but adjusted for a child's draw weight and height. By training your kid on the Kodiak Cub, you'll be able to teach them the fundamentals the right way. The green hard maple is very Robin Hood-esque, which will appeal to most kids. It's capped with fiberglass and is 48" long. It's the perfect beginning bow for kids who are serious about learning archery. 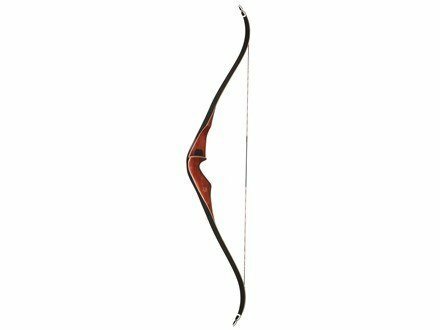 When you're looking for the best Bear Archery Recurve bows or any bow for that matter, keep these things in mind. There are two primary uses for a recurve bow. The first is for target practice. It's a great way for beginners to get their practice, and for experts to hone their skills. We all have to start somewhere, and if you're an archer you start with targets. The second use is hunting. 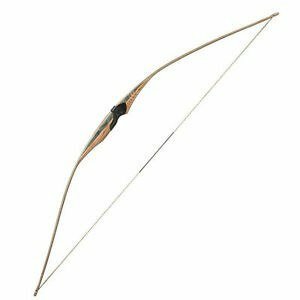 If you're looking for the best Bear Archery Recurve bows, then you're looking for a hunting bow. Many people look for crossbows for hunting, because of the extra power. But normal recurve bows have the same kind of power. You only have to develop your skills and strength to use it well. The length of your bow depends on your draw length. Your draw length is how far back you can pull the string before firing. There are two main ways to determine your draw length. The quick and dirty way is to stand with your arms spread out, then measure the distance across. Divide that measurement by 2.5, and you have your draw length. This method isn't foolproof, but it's a good place to start. The best way to measure your draw length is with a bow. Pull back the string in the proper firing position. Then measure the distance between the pivot point and where you nock an arrow. You can use the draw length to help you determine how long your bow needs to be. Keep in mind, the best way to do this is to try a few bows out in person. Your draw length is also affected by the length of your arms. This is different for most people. The draw weight is the power that your bow can deliver. This is often determined by how strong the archer is. Kids have a draw weight of about 10 and 25 pounds, depending on their size and strength. Women have a draw weight between 25 and 45 pounds. Men's draw weight ranges from 30 and 60 pounds. When you're looking for the best hunting recurve bow, you'll want something you can handle. Remember, if your draw weight is too heavy or too light, it will throw off your performance. Be careful with heavy draw weights when you're working with targets. If it's too powerful, it'll destroy your targets and your arrows. The weight of your bow is more of a personal preference, but it does matter. If you're lugging your equipment all over the mountains, you don't want to carry anything too heavy. Most recurve bows have lightweight materials with this in mind. But that doesn't mean it's light as a feather. Beginners might consider a lighter recurve bow instead of the heavier models. With that in mind, the more you work with your bow, the more comfortable you'll be with it. It'll be easier for you to carry, and after a few months, you might not even notice it's weight. This should go without saying, but we'll do it for all the lefties out there living in a right-handed world. Is your bow made for right-hand dominant or left-hand dominant people? Many bows come in both right and left-hand models. But a few of the best Bear Archery recurve bows are for right-handers only. Keep a lookout for this important distinction. When it comes to recurve bows, you get what you pay for. If you're a beginner you don't need to pay for the most expensive bow they have. But don't buy a bow because it has a great sales price. Do your research and figure out what the best Bear Archery recurve bow is for you. If you're new to recurve bows, check out our Recurve 101 page. We've listed everything you need to know about working with recurve bows. Let's say you're already familiar with recurve bows, but you're looking for the best ones. Don't worry, we've got you covered. 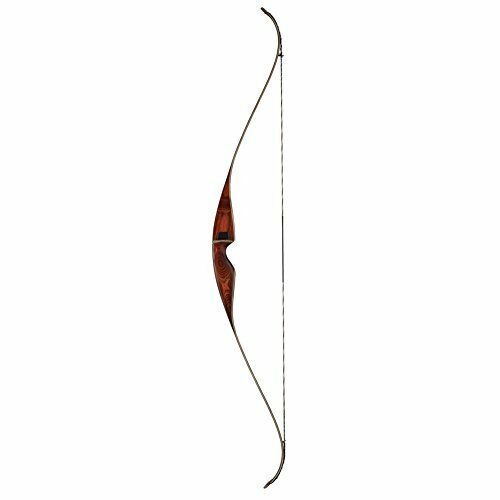 Not only do we have lists for the best Bear Archery recurve bows, we have a whole recurve bow buying guide. If you have any questions, let us know! We're here to help you get the best experience with your recurve bow.